In a recent article for Sports History Review, Wong and Robert Rinehart from New Zealand’s University of Waikato analyze Lee’s influence on martial arts as well as the effect of his physical prowess and pride in his body on a sense of national identity in China at a crucial point in modern history. Born in California and raised in Hong Kong, Lee moved back to the United States as a teenager, living in Seattle for several years. While there, he attended college, taught martial arts, and met and married his wife Linda Emery. He also started blending his traditional training in kung fu with his own philosophy and belief in fitness and nutrition to form what he would eventually call Jeet Kune Do. After the Lees moved to California, where Lee continued teaching, he was spotted at a martial arts exhibition and offered a television role. 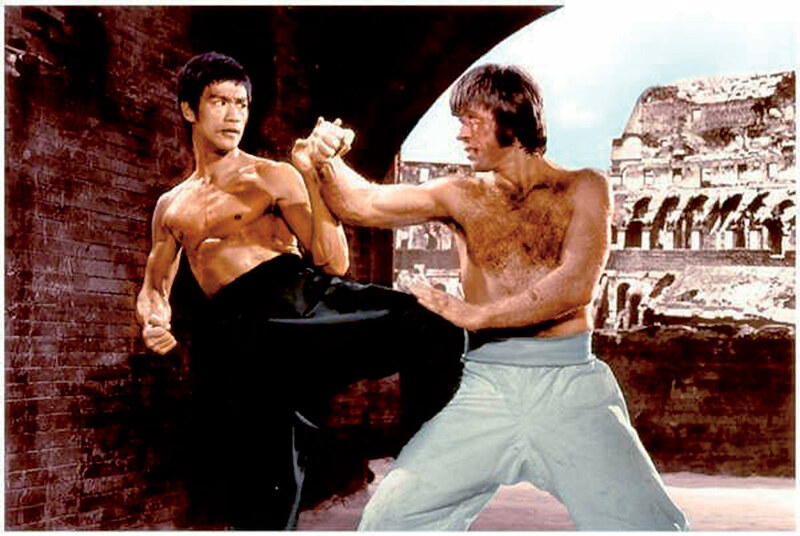 Lee only made five films as an adult, along with several television roles, including the short-lived series The Green Hornet, but his body of work raised an awareness and appreciation of martial arts and kung fu in particular throughout the west. Lee’s Cantonese-language movies were familiar to Westerners in their plots, similar to Clint Eastwood’s spaghetti westerns and other tales of underdogs fighting back. “In Lee’s time, never mind martial arts, in sports generally, workouts were not the norm. If you had talent, you could just do it on the field or on the ice. In that sense, he was a pioneer of physical fitness,” says Wong. “His training incorporated in the ’60s what is now called kinesiology, which is the study of bodies in motion. Lee supposedly had one of the largest libraries on training and how your body works.” Wong says that after he presented a paper about Bruce Lee at a sport history conference, a couple of weightlifters told him Lee had revolutionized their sport as well. At 5’6″ and around 135 lbs., Lee epitomized a body type that was primarily muscle in a smaller frame. Even though he was a successful martial arts teacher, Lee was called to Hollywood. “The film as a medium played nicely into his entrepreneurial spirit of spreading his art to a much wider audience,” says Wong. When Lee couldn’t find the roles he desired in American film or television, he moved to Hong Kong. There his films struck a sympathetic chord with audiences. The movies showed Lee defeating enemies of Hong Kong Chinese: exploitative Chinese bosses, Japanese invaders, and Westerners. The films rocketed Lee to stardom at a critical time in the thawing of relations between China and the West. Wong says Lee’s films were part of the cultural exchange, with China reentering international sports competitions and the post-Cultural Revolution “ping-pong diplomacy” of the early 1970s. At that time, Lee offered a very physical embodiment of Chinese strength and national pride, but with a Western connection. This was especially true of Lee’s third film, Way of the Dragon, says Wong. It was the only complete movie that Lee directed, starred in, and in which he choreographed the fight scenes. The movie features Lee visiting Rome and fighting the Mafia, and offered a dose of humor where Lee made fun of his own heritage to show how Chinese people needed to adapt. Even though social change is often unbearably slow, says Wong, Lee’s films serve as a powerful cultural instrument. After seeing the movies, people might find their preconceptions challenged and come away with a different view of what Chinese people are like. For Asians, he says, Lee offers an example of adapting beyond tradition, patterns, and expectations.